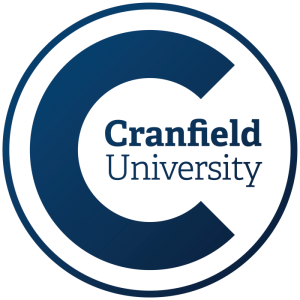 The Cranfield Composites Manufacturing Group, within the Enhanced Composites and Structures Centre investigates and develops novel materials and processing technology for lightweight structures with close partnership with carbon fibre composites suppliers, UK aerospace and niche automotive companies. Set up in the 1990s to lead Airbus UK affordable composite wing project AMCAPS, it pioneered the development and processing of carbon fibre multi-axial fabrics, now applied in the Airbus A380. Through the Energy Technologies Institute, novel lightweight wind turbines have been designed and an experimental 10m length vertical axis machine has been recently been built for installation at the University. The most recent aerospace focus has been low cost carbon fibre composite unmanned aircraft structure for the BAE SYSTEMS Flaviir project, which received a Chairman’s Silver award and The Engineer magazine aerospace award. The group designed and manufactured a successfully flown experimental aircraft airframe, alongside a future materials technology wing demonstrator. The most recent automotive focus for the group was the design of an ultralight carbon fibre body for the Nissan UK Infiniti EMERG-E range extending hybrid supercar which was demonstrated at the Geneva motor show and Goodwood Festival of Speed. The Centre has a renowned process simulation activity and is a partner in the recent and current EU projects PreCarbi, Advitac and Infucomp. The academic team members are Mr Andrew Mills, Dr Auréle Bras, and Dr Lawrence Cook.